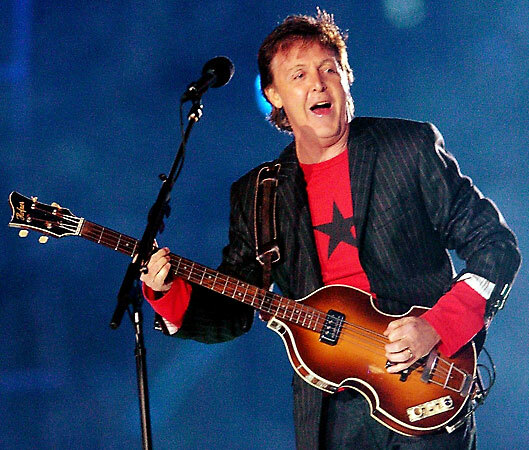 These famous people (past and present) all have the ability to choose any health care in the world, but they have unanimously chosen Chiropractic for it's health and life enhancing capabilities! Join these celebrities and millions of other North Americans and people around the world who utilize Chiropractic care for every aspect of their lives, simply because, Chiropractic enhances the health and performance of every human being, from grandchildren to grandparents! • Bob Hope - "Chiropractic is a wonderful means of natural healing!" • Dixie Carter, Designing Women TV Series - "I have a wonderful chiropractor. • Andy Griffith - "Chiropractic has advanced tremendously over the past few decades. It has grown by leaps and bounds to become a specialized and accepted science." 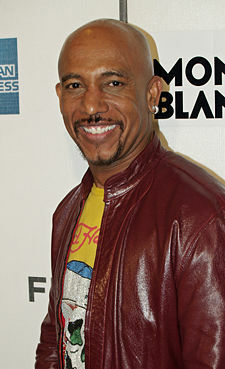 • Montel Williams - Williams was diagnosed in 1999 with multiple sclerosis. Emmy award winning talk show host Montel Williams endorsed chiropractic, saying, "It's the most amazing thing that has ever happened to me!" He told the audience that after suffering from pain 24 hours a day, seven days a week, 365 days a year, he experienced relief from pain with his first chiropractic adjustment. "There's not a person who knows me who will not confirm this. I am walking differently, my pain is less, and I've already regained strength in my left leg." He also added that he could stand up straight without pain for the first time in more than five years. The broadcast included a filmed segment with Williams' chiropractor, Patrick Kerr, DC who also appeared as a guest on the show. After introducing his chiropractor, Williams jokingly said, "Everyone knows my head is screwed on wrong ... basically, you screwed it on right!" The chiropractic portion of the show was quickly circulated across the Internet, as doctors and chiropractic supporters placed a popular YouTube video of the program on their own sites. • Katherine Kelly Lang, Bold & Beautiful Soap Opera Star - "I leave my chiropractor's office feeling fresh and rejuvenated and back in line the way I should be. 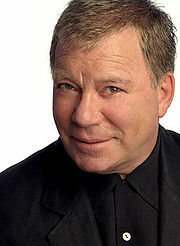 He has also been successful at getting rid of my tension headaches." • Lou Waters, CNN Today - "I like to go to the chiropractor at least once a week and have for the past 20-25 years. I feel better when I go; I have more energy." 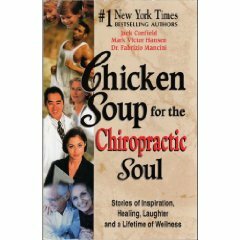 • Marlo Thomas - "Chiropractic solved my neck and shoulder pains; it put me back on my feet. I think chiropractic is great!" • James Arness - "Chiropractic care is the only real, long-lasting relief that I have found for my neck pain due to an old injury." • George Kennedy - "A chiropractor accomplished in three weeks what the army doctors haven't been able to do in two years." 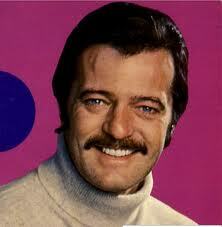 • Peter Fonda - "Regular chiropractic adjustments go hand in hand with good health." 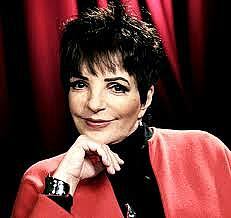 • Liza Minelli - "I rely on regular chiropractic care to keep in shape for my strenuous type of acting and singing." 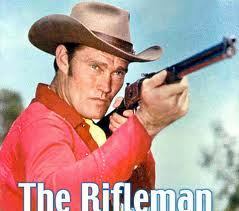 Chuck Connors - "I depended on chiropractic care when I was an athlete. I depend on it now as a busy film and TV actor." • Jane Russell - "I credit chiropractic care for maintaining my health to keep up the pace of my career." • Robert Goulet - "I wouldn't be without my regular schedule of chiropractic adjustments because of my very strenuous schedule. "• Jeane Dixon - "I am walking today because of chiropractic care I received years ago. I predict a great future for the science of chiropractic." • Melvin Belli - "I had headaches for over 30 years until I tried chiropractic. They have completely disappeared." • Bob Cummings - "I have been a great devotee of chiropractic all my life. My father was a medical doctor who kept well using chiropractic." • Ken Berry - "My success as an entertainer would not be possible if it weren't for chiropractic." • Carol Lawrence - "Chiropractic keeps me in shape for my life as a TV, stage, and screen star, wife and mother." • Clint Walker - "Without chiropractic care, I couldn't have existed with my work as a TV and film actor." ns, Author of Pulitzer prize-nominated international best seller, "Diet For A New America" - "Chiropractic works in harmony with the basic healing forces of the body, whereas the allopathic, western medical establishment doesn't have nearly as holistic a vision." functions such as walking and sitting, to operate at their peak levels of performance without pain. I highly recommend that you pay a visit to your local chiropractor." • Sarah Harding, Ms. Fitness USA - "Basically, I've always believed in chiropractic care. My parents introduced my brothers and myself to chiropractic care when we were very young and it's been an instrumental part of my life. I believe that it allowed me to do gymnastics when I was very little and allowed me to stay in sports and lead a very active lifestyle. I think it's natural to have aches and pains when you bend your body in directions it wasn't necessarily meant to [be bent in], so it makes sense to go to a chiropractor to get my body back in alignment. Ever since I can remember, I've gone to a chiropractor. • Jack LaLanne - "The spine is the lifeline. A lot of people should go to a chiropractor but they don't know it." • Van Halen • Sir Paul McCartney • Air Supply's Graham Russell • Madonna • Fred Schneider and Kate Pierson - B2's • Rosanne Cash • Alabama • Connie Smith • Travis Tritt • Kenny Loggins • Victoria Williams • Members of Greatful Dead • Members of Extreme • Members of Bon Jovi • Members of Dwight Yoakam's Band • The Eagles • Peter Frampton • Roberta Flack • Members of The Beach Boys • Members of the Jeff Healey Band • Members of Dire Straits • Peter Allen • Doc Severinsen - "Whenever I travel I seek the benefits of this great profession of chiropractic." A research study conducted by Drs. Anthony Lauro and Brian Mouch, published in The Journal of Chiropractic Research and Clinical Investigation, 1991, indicated chiropractic care might improve athletic performance by as much as 16.7% over a two week period. The report also concluded that subluxation free athletes react faster, coordinate better, execute fine movements with improved accuracy and precision, amounting to an overall better athlete. fitness people have been using chiropractic very extensively in order to stay healthy and fit. I found it was better to go to a chiropractor before you get injured. We are a perfect team - the world of fitness and the world of chiropractors." "I am very fortunate to have, so-to-speak, my in-house chiropractor, Dr. Franco Colombu, as my own personal chiropractor. So, I visit Franco regularly, and he comes over to my house. He adjusts my wife, my kids, me, everybody gets an adjustment. And we feel always great when Franco leaves. Even when I have athletic injuries he's always there for me, and helps me. So it's really terrific, and I know that first hand. That's why I always will be traveling around, all over the world, talking highly about the profession of chiropractic. You chiropractic doctors are really miracle workers, and that's why it's really great to have you here, part of the Arnold Classic. Because, like I said, the Arnold Classic and Fitness Weekend are about health and about fitness and preventive care. "• Mindy Mylrea, World Champion - "We put a great deal of stress on our bodies, so chiropractic is very helpful." • Bernard Horn, Men's Champion - "My chiropractor is really phenomenal. I've gotten stronger and greatly increased my flexibility." • Jose Canseco, Baseball - "I've found that it's a great stress reliever to get adjusted. It takes away a lot of the tightness in the muscles"
• Tiger Woods, PGA Tour Professional - "Being a chiropractic patient has really helped me a lot,"
Tiger asserted. 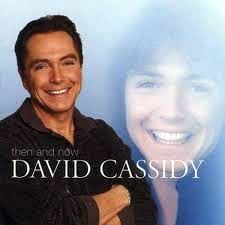 "When I was in a growth spurt, my back became very sore and I was weak. My chiropractor really helped me. Not only did he adjust my spine, he also gave me strengthening exercises to do. If you are tall and gangly, like I am, or play sports, I would recommend chiropractic." "Lifting weights and seeing a chiropractor on a regular basis has made me a better golfer. I've been going to Chiropractors for as long as I can remember. It's as important to my training as practicing my swing." • Wade Boggs, Baseball - "Last year I found Dr. Newman (chiropractor), and I have been seeing him ever since. I have been pain-free and feeling terrific. I swear by it. Now, it is just maintenance and keeping in line so the nerves don't touch." • Greg Mathews, Football - Credits chiropractic with helping him get off the disabled list and overcome a career-threatening slump! • Ryan Sandberg, Baseball - His wife Cindy explained, "He's had some awesome games after getting an adjustment. He was frequently adjusted before games." • Dan Schayes - "I use chiropractic as my main source of healthcare." 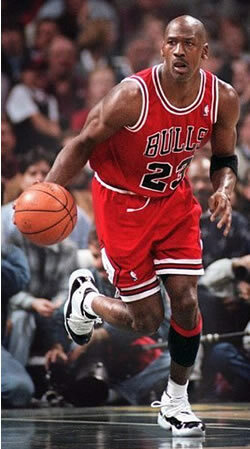 been in chiropractic, I've improved by leaps and bounds, both mentally and physically." 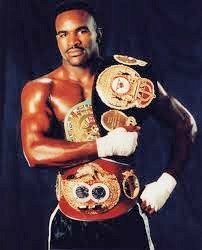 • Evander Holyfield, Heavyweight Boxing Champ - "I have to have an adjustment before I go into the ring. I do believe in chiropractic. I found that going to a chiropractor three times a week helps my performance. The majority of boxers go to get that edge." • George Angat Jr., US Lightweight Champion - "The split second that can be added to my speed by my chiropractor could be crucial." "Chiropractic care gives him that little advantage, that little extra strength and quickness and allows him his best opportunity to regain his title." • Dan O'Brien, Decathlon - "You obviously can't compete at your fullest if you're not in alignment. And your body can't heal if your back is not in alignment. It was the holistic idea that I liked about chiropractic and that is what track and field is about. 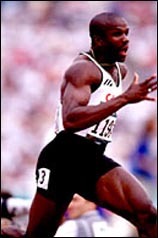 Every track and field athlete that that I have ever met has seen a chiropractor at one time or another. In track and field, it is absolutely essential. Chiropractic care is one of the things I think that no one has denied or refuted." • Joe Greene, Long Jump - "I know chiropractic helped me. It helped my performance and I feel better." • Joe Montana, Football Quarterback - "I've been seeing a chiropractor and he's really been helping me out a lot. 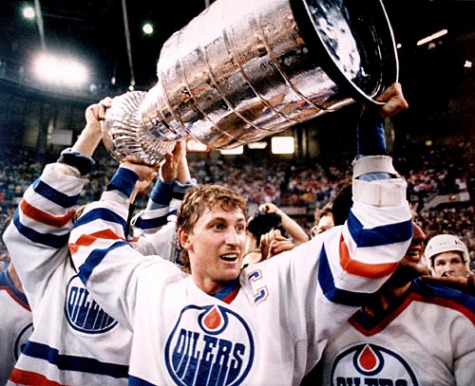 Chiropractic's been a big part of my game." Joe Montana and 35 of his teammates received chiropractic care right before the 1990 Super Bowl Game. • Irving Fryar, Football - I definitely believe that chiropractic care has attributed to my fitness. I don't think I could maintain my level of play without chiropractic. When I go to Dr. Napoli for an adjustment, I immediately feel better." • Emmit Smith, Football - "I go see Dr. Bill (chiropractor) when I get bent out of shape on Sundays. Playing in a football game is like being in 30-40 car accidents." • Crawford Kerr, Olympian - "Dr. Bill (chiropractor) kept me on the field many times." • Fred Funk, PGA Tour Professional - "I do believe chiropractic has really benefited my game. Over the last three years, I feel I have become more exposed to, and knowledgeable about, the benefits of chiropractic for me and my game. I realize how your body can get out of balance, and chiropractic care helps." • Barbara Bunkowsky, LPGA Tour Professional - "I have found that chiropractic keeps me flexible and pain-free so that I can perform at my highest level. The benefits of chiropractic have improved my golf swing, putting less stress and strain on my body and allowing me to be a more productive golfer. I believe it also helps prevent other associated injuries that are very common on the LPGA tour." • Jerry Rice, 49ers All-Pro Wide Receiver - "Most injuries require chiropractic care. It works better for me than anything else." • Johnny Damon, NY Yankees Centerfielder, MLB Allstar - "Without chiropractic, I wouldn't be able to play consistently throughout the season." Lynn Connelly • Beth Daniel • Jan Stephenson • Donna White • Kim Baur • Patty Sheehan • Lynn Adams • Sally Little • Amy Alcott • Mary Lou Retton • Olga Korbut • Detroit Redwings Team • Wayne Gretzky • Brett Hull • Donovan Baily, 100 Meter • Alberto Juantorena, 400 & 800 Meter • Bruce Jenner, Decathlon • Mac Wilkins, Discus • Dwight Stones, Hi-jump • Edwin Moses, Hurdles • Maria Maricich, Skiing • Suzy Chaffee, Skiing • Mary Decker, Track • Willie Banks, Triple Jump • Joseph Arvay, Wrestler • Nancy Ditz, Marathon.